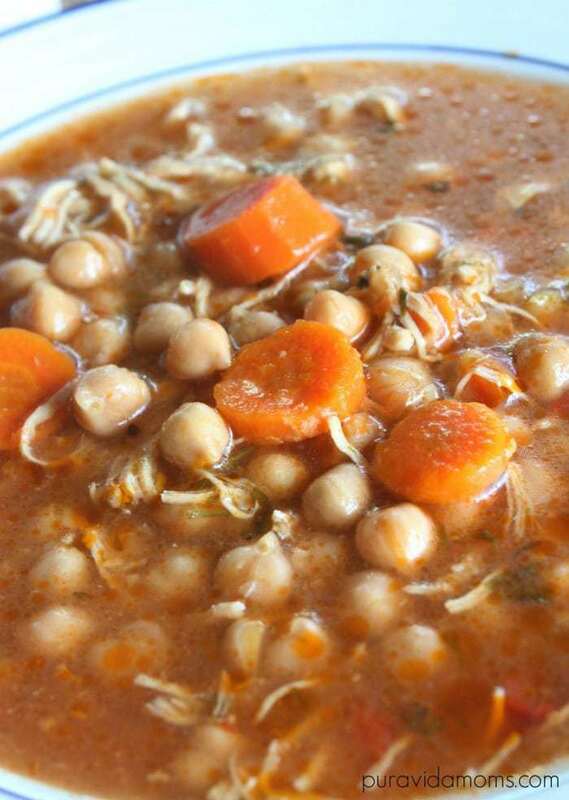 You all might have guessed that I’m obsessed with Costa Rican-style chicken garbanzo soup. (I have a stovetop recipe and a 10 minute slow cooker version). I honestly have to say though, that I have a new obsession- my Instant Pot. I bought it on Amazon Prime Day, and I swear I heard angels singing when it was delivered. No, really. I have long loved to cook with a pressure cooker- but after ours exploded when my oldest was a newborn, I said I wouldn’t let one back into my house again. Now, the Instant Pot is a pressure cooker that is explode-proof, and doesn’t even heat up my house. Which is ideal in summer. This recipe is perfect because it takes about 10 minutes to prep, and then you set it and forget it. I love how the Instant Pot defaults to warm after cooking, so I start the recipe and it cooks and then stays warm until dinner. Seriously- angels singing. If you don’t have an Instant Pot, I also have the stovetop directions here, and a quick slow cooker version as well. Place the olive oil in your instant pot and put it on the low sautee setting. Add the onion, red pepper, cilantro, garlic and salt and mix around until vegetables are tender. Add the chicken breasts and brown each side. Add the rest of the ingredients. Cover the pot and set it for 30 minutes pressure cook on high. Open, shred the chicken (I just grabbed two forks and shredded it right in the pot.) Serve hot with Costa Rican-style white rice. And I love to add a few dashes of red pepper flakes, and my husband loves to eat it with homemade tortilla chips. 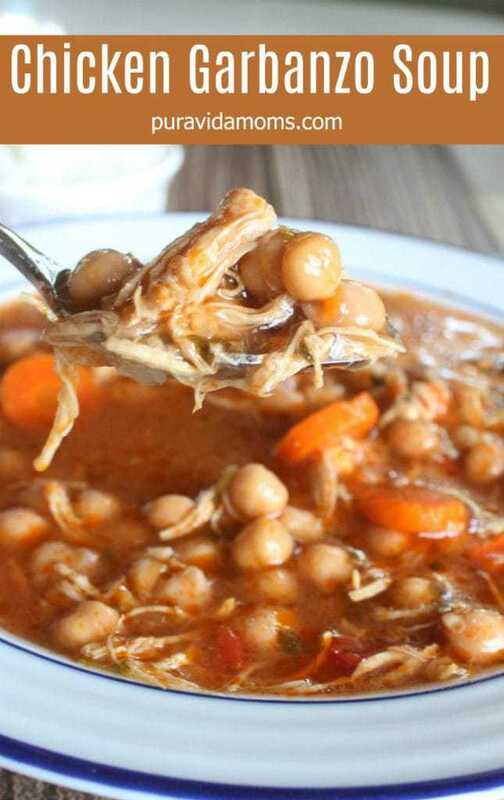 Looking for other easy Costa Rican recipes from Pura Vida Moms?